Heinemann Fellow Tricia Ebarvia: "How Inclusive Is Your Literacy Classroom Really?" In 1981, my family moved eighteen miles from northeast Philadelphia to the suburbs. Because I had just turned five, my parents decided we needed to move into a better school district. This meant moving from a predominantly black neighborhood to a predominantly white one. I didn’t know it then, but it would be my first lesson in how segregation works. My parents emigrated from the Philippines in the 1970s. They were part of a professional class that came to the United States in a wave of Asian immigration after the passage of the 1965 Immigration and Nationality Act. Like many immigrants, they came for a better life, for themselves and for their families. And so when they could afford to move to a better school district for my brother and me, they did. Throughout elementary and middle school, my brother and I were among only a handful of students of color—and, if my memory is correct, we were two of only three Asian Americans in the building, in our classes, on the playground. We went to parochial school, and though I always knew I was different, I had a good experience. I did well in school, slept over best friends’ houses on the weekends, and played township softball in the spring. When I think back to those years, I feel lucky for the education I received and grateful to my parents for the sacrifices they made. It was only later, however, when I read W. E. B. Dubois in college—read his definition of double consciousness—that I could identify the most important lesson my education afforded me. Most of my lessons in assimilation came through the books I read in school—and I loved to read. As an introvert, I lost myself in the world of books. But into whose worlds did I enter? This was the 1990s. Twenty-plus years later, I wonder how much has changed. Meanwhile, our society certainly has. According to census data, less than three years from now in 2020, students of color will make up the majority of the children sitting in our classrooms. Those schoolchildren will graduate and go on to work within and among the most diverse generation in history. I share my story because I believe our past experiences in school shape the teachers we become—in profound and insidious ways. When I first started teaching, my assimilationist tendencies pervaded my teaching too. I didn’t understand that too often to assimilate meant to erase. I did not question what I was asked to teach; I didn’t wonder (with the urgency I should have) about voices that were absent or silenced. Teachers are human; we like our comfort zones. How many times, after all, have we used or heard our colleagues reason, “That’s how I learned X!” or “When I was in school, Y worked for me!”? We teach what we know, what we were taught—but what we know is incomplete, and what we were taught could be damaging to kids. I don’t think my story is unique, and in talking with other educators of color, it isn’t. It took years for me to realize how much I had missed in my own schooling; I think we owe it to the kids in our classrooms to not make the same mistakes. Reading and writing can be powerful tools for agency and liberation, which is why making sure our practices are grounded in inclusion is so important. What do I mean by inclusive practices? Inclusive practices are those that guarantee the perspectives and contributions of all people—especially of diverse backgrounds who have been traditionally marginalized such as LGBTQ+ individuals, people with disabilities, and people of color—are given equal recognition, attention, and care in all learning environments. Inclusive practices consist of both curricular materials and teaching methods. It assumes that because the aim of education is to empower students, decisions regarding curricula or methods are always political in nature. When our teaching practices are not inclusive, we perpetuate systemic inequalities. So what can we do? As educators, we must ask ourselves tough, uncomfortable questions about the ways in which our experiences have led to biases that have affected—and infected—our practices. We must start by looking at ourselves. Below are eight questions for self-reflection. As you answer these questions, pay attention to how you might be feeling as you respond. Set aside some quiet time to reflect on your responses—or, better yet, consider inviting a trusted colleague to respond and discuss together. You might also work in small groups at a department or faculty meeting to discuss as well. How inclusive is the media you consume, personally and professionally? What do you read by people of color, LGBTQ+ authors, and writers with disabilities? What books, news articles, publications? What television programs, films, podcasts, and other multimedia do you consume and who creates that media? Whose voices are privileged? What professional literature do you read? How often and in what ways do you extend your professional reading to include all voices? How diverse is your PLN and PD? How inclusive is your curriculum? In what ways is your curriculum shaped by your own educational experiences? Whose voices are centered in the texts you teach? Whose voices are marginalized or missing? How do you recognize and celebrate the backgrounds of diverse authors already included in your curriculum? In what ways do you integrate cultural and racial literacy in your instruction? How often do you conduct an audit of your curriculum? In what ways has your curriculum changed to meet the needs of today’s students? To what extent do you regularly examine and revise your curriculum to search for problems or gaps? 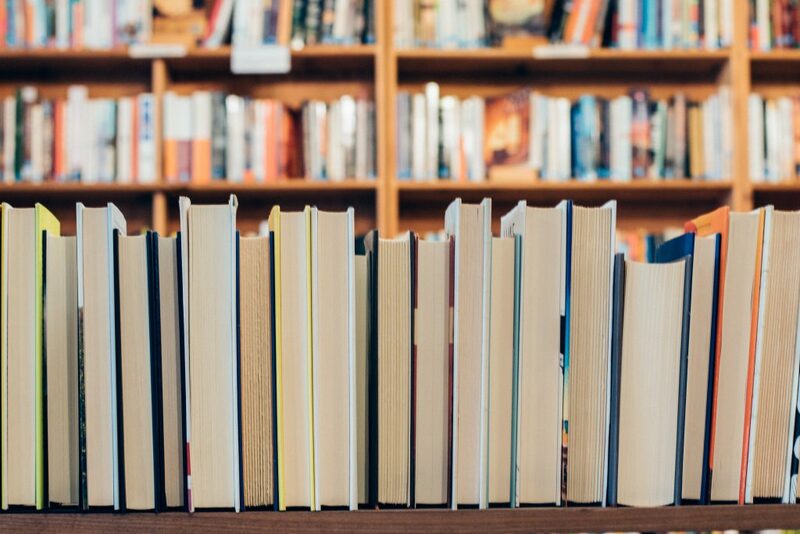 How inclusive is your classroom library? How does your classroom library mirror your own reading preferences versus those of your students? Do you know which voices are represented on your bookshelves? Which voices are missing? In what ways do you include—and how do you find—#ownvoices titles to add to your library? How are these voices integrated versus othered in the way you organize or share titles? How inclusive are your mentor texts for writing? What writing—and whose voices—do you hold up as mentors of excellent writing and for what purpose? What is your definition of good writing? In what ways does that definition include or exclude particular voices or linguistic varieties? How inclusive is your language? How often do you use gendered versus non-gendered language? How do you model respectful and asset-based language (versus deficit language) to describe others, both with students and colleagues? How inclusive are your class discussions? How equitable are your class discussions? In what ways do you ensure all student voices are heard? How do you scaffold class discussion to encourage courageous conversations? How do you model inclusive thinking for your students? How often do you show (think aloud) inclusive thinking when discussing your decisions and responses to texts? In what ways do you demonstrate intellectual and cultural humility in front of students? How often do you discuss inclusive practices with your colleagues? In what ways—and how often—do you and your colleagues reflect on your practices to ensure all voices are recognized and respected? How do you ensure the voices of educators of color are heard and appreciated? In what ways do you advocate for inclusive practices beyond your classroom? Of course, these questions are by no means exhaustive. Many educators have been doing this work longer and have written extensively and brilliantly about these issues (see list at the end for additional resources). As you read these questions, you may find yourself questioning your practices. Or you might feel defensive about them. But try to look objectively at your teaching. Step into whatever discomfort you might feel—and ask yourself, honestly, why you’re feeling that way. This work isn’t easy. It takes time and patience and a relentless commitment to being critical of ourselves and the systems around us. I have often caught myself falling into bad habits, and I must continue to work actively to decolonize my own assumptions of what is considered valuable. 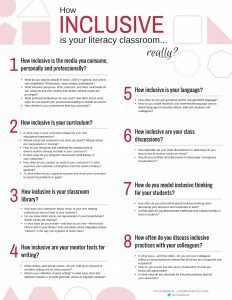 While these questions are structured in list form, inclusive practices cannot be reduced to a checklist. For example, an inclusive curriculum cannot be achieved by simply checking off a list of diverse authors and texts. Instead, inclusive practices must infuse every part of our pedagogy. Asking ourselves these questions is a necessary first step—yet it is only a step. The real work begins when we take action. Tricia Ebarvia is a 2016-2018 Heinemann Fellow. Tricia has spent the last 15 years as a classroom educator with a student-driven approach to teaching reading and writing. Through her career, Tricia has applied the philosophy of the teacher-as-researcher while applying best practices to “cultivate independent learners” through independent reading and student choice. “For better or worse, “well enough” doesn’t satisfy me. I approach each school year, each course, each unit with fresh eyes.” Follow Tricia on twitter @TriciaEbarvia.